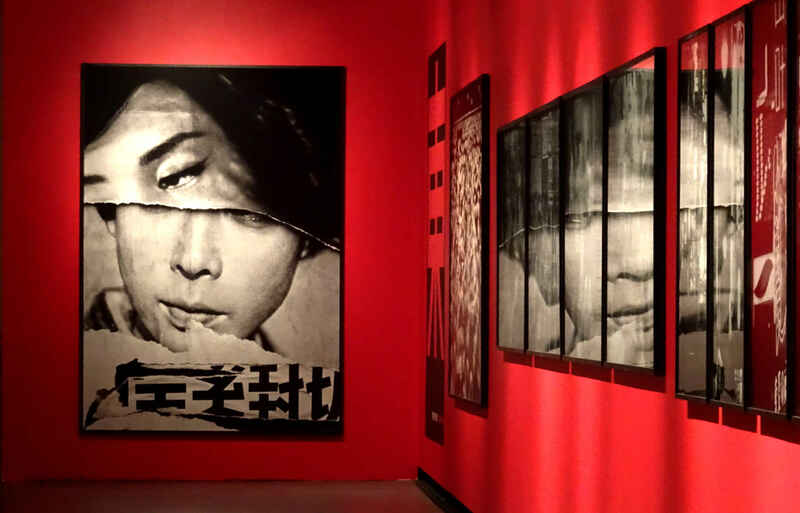 I wonder if it’s an aspect of being a time optimist, to wait till almost the last moment before visiting an exhibition. 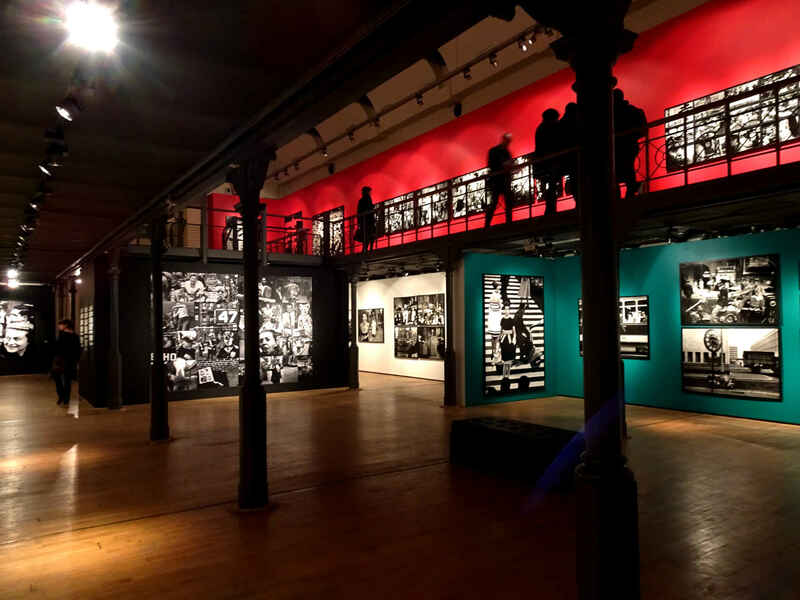 Mrs SC and I have been talking about the William Klein exhibition “5 Cities” at Botanique since it opened on 15th December. It opened the day after we returned to Sweden for Christmas, so we couldn’t have gone then. However, we’ve been back in Brussels for a month, but it was only last Thursday we finally got around to visiting. And now, at the time of writing, it’s just closed. For some reason I had the impression that the exhibition would be travelling. That it was here now, but would be moving on to somewhere else next week. I seem to be mistaken. Everything I’ve read on line about “5 Cities” suggests it was actually a one-off. So this article isn’t a review in the sense of being a text to encourage you, good reader, to go see the exhibition for yourself. Personally, I had the courtesy to ask at the exhibition desk if I was allowed to take photos. No, they said, not of the photos themselves. 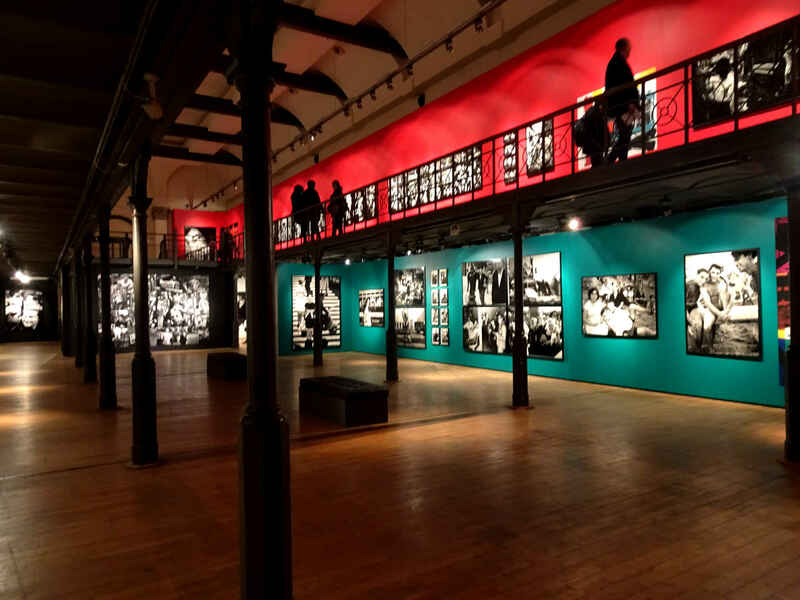 But you can take pictures of the exhibition hall to show how the photos are hung. So that, as you see, is what I did. 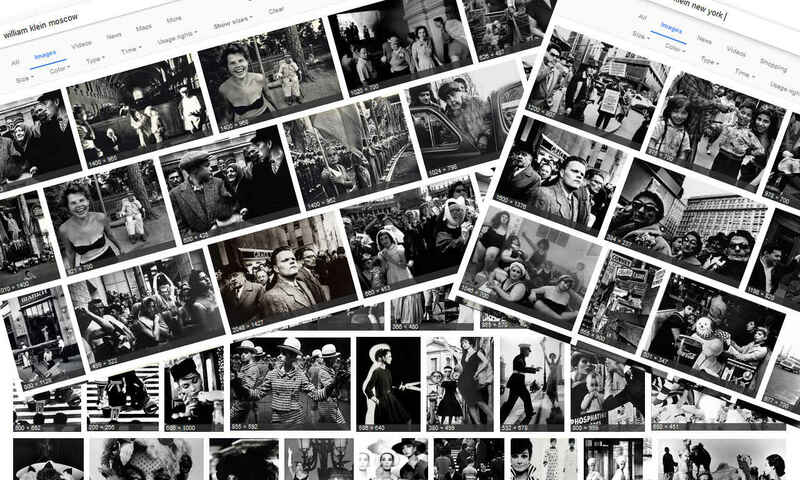 Credited with being one of the founders of street photography, he has also worked in photojournalism and for the fashion magazine Vogue. His fashion photography is described as “ambivalent”, “ironic” and “satirical”. 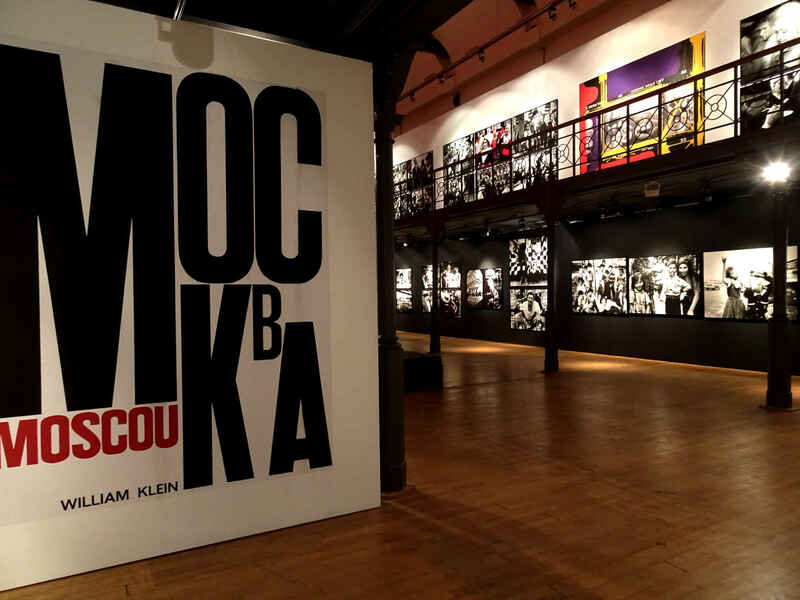 Over the years he produced a series of photo-books from different world cities: New York, Moscow, Rome, Tokyo, Paris. 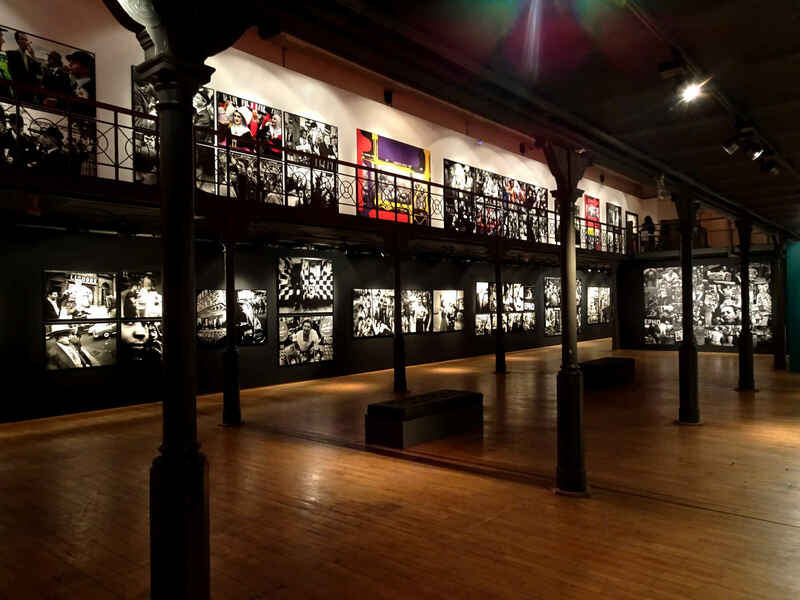 It is his photos from these five cities that were on show at Botanique. 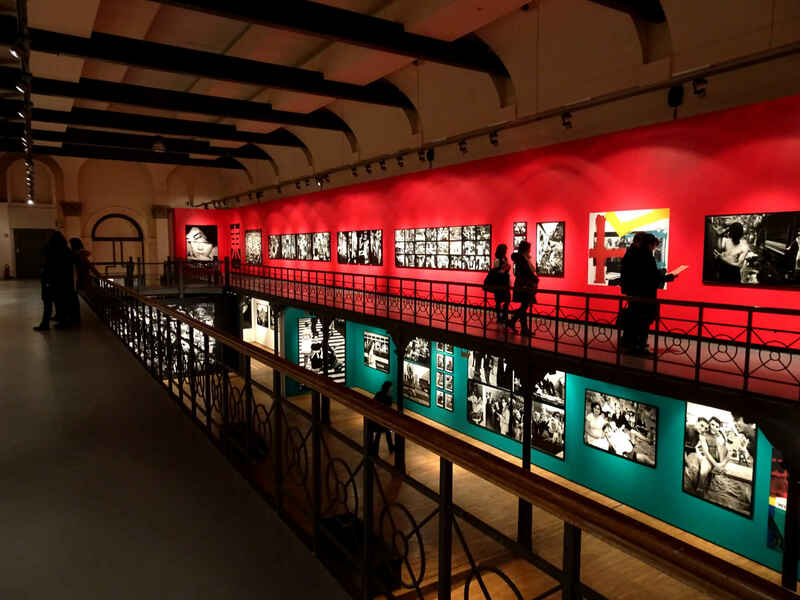 It was interesting to compare the photos and spot changes in style, walking around the exhibition. The New York photos are obviously the oldest. You can see it in the clothes, street ads, vehicles but also I think in the faces. Klein’s technique is also rougher, more jarring and many of the candid portraits are more in your face. It seems to me his style softens, especially after he starts to use colour. The photos from New York and Rome (from the 1950s) feel edgier and more exciting, than the ones from Moscow and Tokyo (from the mid 60s). Although there are stand-out images from both Moscow and Tokyo, the Tokyo ones did seem tamer. 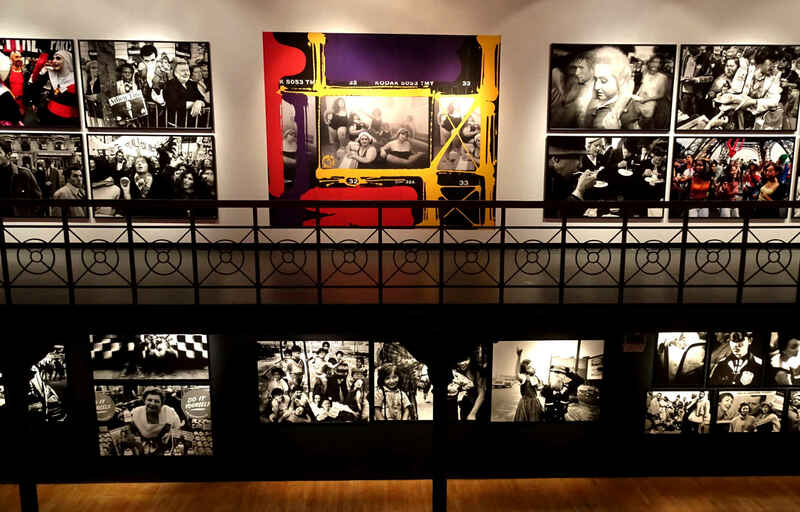 Meanwhile the photos from Paris appeared to stretch over a longer period of time – into the 70s and perhaps later. Again, these were varied, but I felt they were often more complacent. 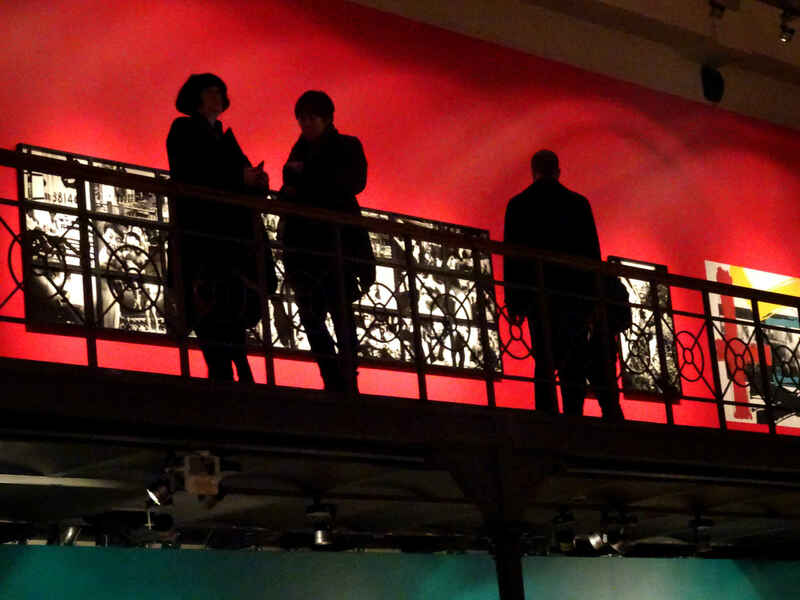 As I hope you can see from my photos, the exhibition space at Botanique is quite interesting. I’ve been here before (and brought you here) to see the Scary Monsters of Vincent Glowinski, but it looked different this time around. Still very subject to artificial light, though, but it seemed to work. 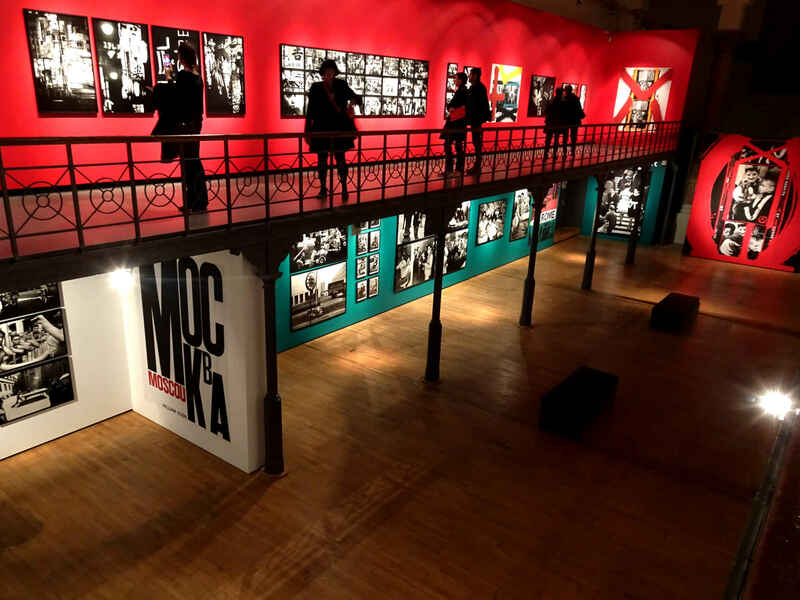 What an interesting exhibition. If it would have continued, I would have liked to see it! Thanks Kerstin. As I wrote, I did think the exhibition would be moving on elsewhere in Europe, though that turned out to be a mistake. But perhaps it will transfer elsewhere even so. 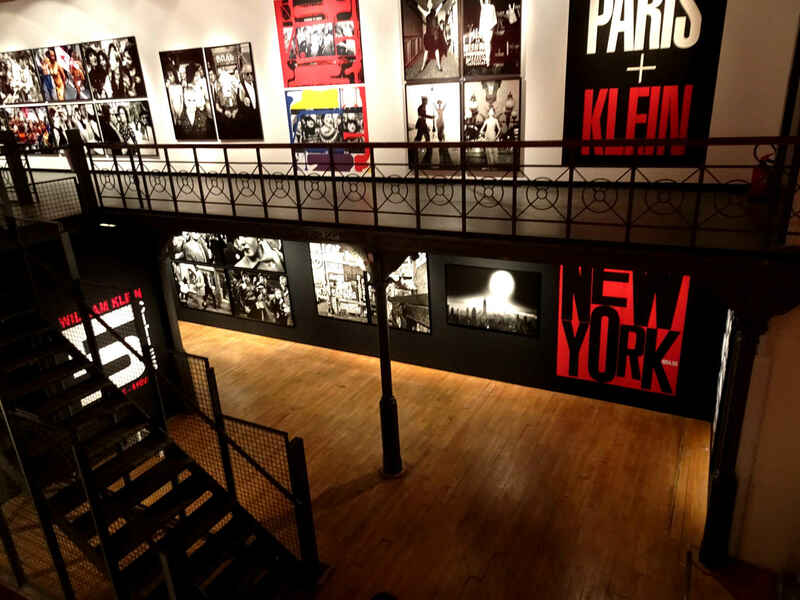 Even if not, William Klein has had a exhibitions in different places over the last few years (in London 2013, Amsterdam 2014, New York 2015, Milan 2016 now Brussels), so more exhibitions elsewhere might be on the cards. Thank you for helping us visiting this exhibition! I guess it will not come in the form of a vlog? Thanks Eva. The space is very interesting, but it looks perhaps larger in my pictures than it is in fact. As for ageing, my mother is still going strong and coming up on 95. I hope I’ve inherited those genes. Är imponerad över hur aktiva du och din hustru är, dessutom väldigt imponerad över mannens ålder och livsverk. Tack för att du tog mig med på en fotoutställning. Ja, precis. Om jag själv klara av att vara lika aktiv vid hans ålder, skulle jag vara väldigt glad!